How are you able to make these to match my brand? We don’t presume to know your brand and voice like you do – that’s why we set up an initial “discovery” call with every lead magnet service client. It’s our goal on that video call to get to know you, understand your voice and approach, and get resources from you that will enable us to create lead magnets that are YOU all the way. And we don’t stop there – we expect you to give us feedback and insight into how we can better represent you – as we go along. That way we are able to constantly improve our effectiveness in representing you and empowering your listeners. Do you require that I subscribe for a lead magnet for every episode I publish? We let YOU select how many episodes of your podcast you want to have Lead Magnets created for each month… 1, 4, 7, whatever. We only ask that you decide on a regular schedule – every 3rd episode of the month, for example – so our team is able to effectively coordinate our lead magnet service with your episode’s publication, without fail. How do you decide what content to highlight in the Lead Magnet? Every episode of every podcast has a main point – that’s what we want to make as actionable as possible for your listeners. Our goal is to make every lead magnet truly valuable – enough to motivate your listeners to provide their email in order to get them. So… our writers will draw out the main action points covered (yes, we listen to all of your episode audio) and create the lead magnet based on what the episode covers. Your listeners will receive a take-action oriented worksheet or list, designed to make them the hero of their own story – and you their wise mentor! Do I get to approve the design of each Lead Magnet? We work hard at the outset to develop 3-ish templates that match your brand and message. These 3 templates are designed around different types of help the lead magnet may provide. You may have a “# of steps” type Lead Magnet – a checklist, if you will. You may have your own idea of a “type” of Lead Magnet you’d like to offer. We are all ears! For every episode that we provide our lead magnet service, our writer will determine which type of Lead Magnet is most appropriate for the content you cover and create the new document based on your pre-approved template. Then we check, double-check, and triple-check them for quality so you look good – and post them to your episode show notes page for your listeners to find. It’s obvious that you’re no dummy – or you wouldn’t even be asking this question! You’re right – the “build it and they will come” approach won’t work with Lead Magnets. Your listeners have to KNOW you’ve created great content for them. When you do – FEEL FREE to mention a title for your Lead Magnet in your audio – our creators will take their cues from you to create the resource you mention. You have to communicate with our team ahead of time if you want to do something different than we’ve planned or something that’s extra-special. We can’t create great stuff from nothing when we have no advance notice. Does this approach really increase email subscribers? While we can’t make any guarantees, we can tell you what we’ve seen. High-value Lead Magnets like this are THE industry standard way of getting people to opt-in to email lists. It’s been that way since these kinds of lists were first introduced. Because it works. We have one client who adds at least 6 new subscribers after every episode using this approach – and he only provides transcripts as his Lead Magnets, not high-value, actionable content like we’re creating here. Imagine the difference that could happen. You have to communicate with our team ahead of time if you want to do something different than we’ve planned or extra-special. We can’t create great stuff from nothing when we have no advance notice. What's the cost and how am I billed for these Lead Magnets? The integration of the lead magnet into your email service of choice – LeadPages, Infusionsoft, ConvertKit, etc. Dependability – when we know the payment is coming in and we are contracted to do your work on a schedule, we are able to fit your Lead Magnet creation neatly into our already-packed schedule, so nothing gets dropped. FOR EXAMPLE: Let’s say you subscribe to one-lead-magnet-per-month services with us. We set up the subscription, engage in a video call with you to get the details, ask you to initiate the subscription, and we get to work on your behalf as you’ve directed in the video call, month after month after month. The beautiful part for you is this – you don’t have to think about it and it just happens! Do you require me to sign a contract for a certain period of time? But we do sign a service agreement with you to clarify who is doing what. But you’re free to cancel at any time. Feel free to reach out to us and ask your question or to give us scenarios. We love this stuff and are excited to brainstorm with you! Are You Ready to Crank UP Listener Engagement With Lead Magnets? Contact Me About Lead Magnets! Don't do ordinary. 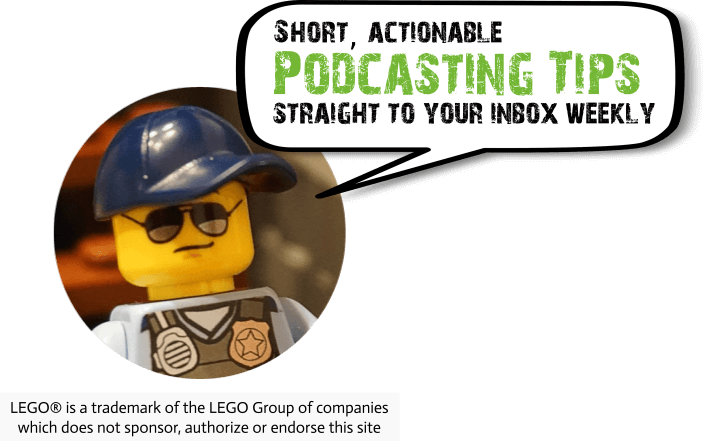 Get the Podcast Optimizer Email Series. Send it to me, oh wise ones!